This last week at work was very, very busy for me. Business seems to have picked up, and that's a good thing! I had NO energy left by the time I'd get home. Instead of heading up to my craft studio, I succumbed to the lure of Jeopardy and Wheel of Fortune on TV. It was my feeble attempt to have a little fun. Ha! I'm working on getting my Etsy shop open, little by little. I've already got a shop -- https://www.etsy.com/shop/CDietrichDesigns -- but there are no listings in it yet. There are many things to consider, with 'branding', packaging, shipping, etc. I need a shop banner, too, and it's taking a little while to create. 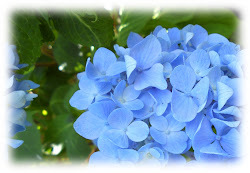 My darling 14 year old daughter helped me with it last weekend, using GIMP (a free editing tool, very similar to Adobe Photoshop). It needs a bit of tweaking, but wow, what a great help she was to me! If you have any questions on the materials I've used, please feel free to email me (look for the "Contact Me" tab at the top of the blog) or leave a comment and a way to reach you. 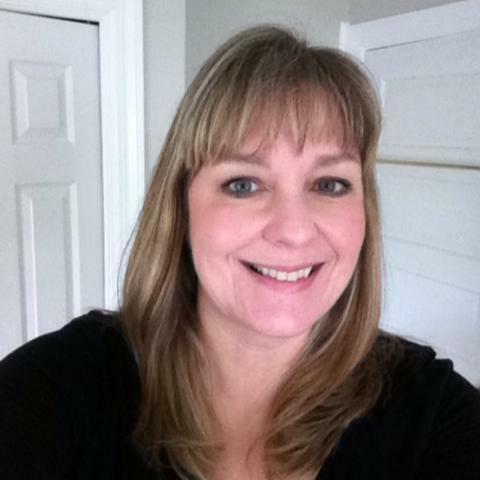 Thanks so much for taking a peek today, and hope you have a great day! 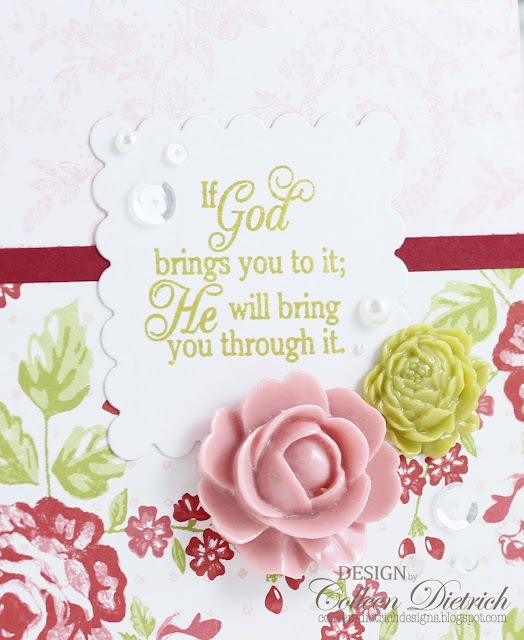 I've got a sweet little encouragement card to share today. 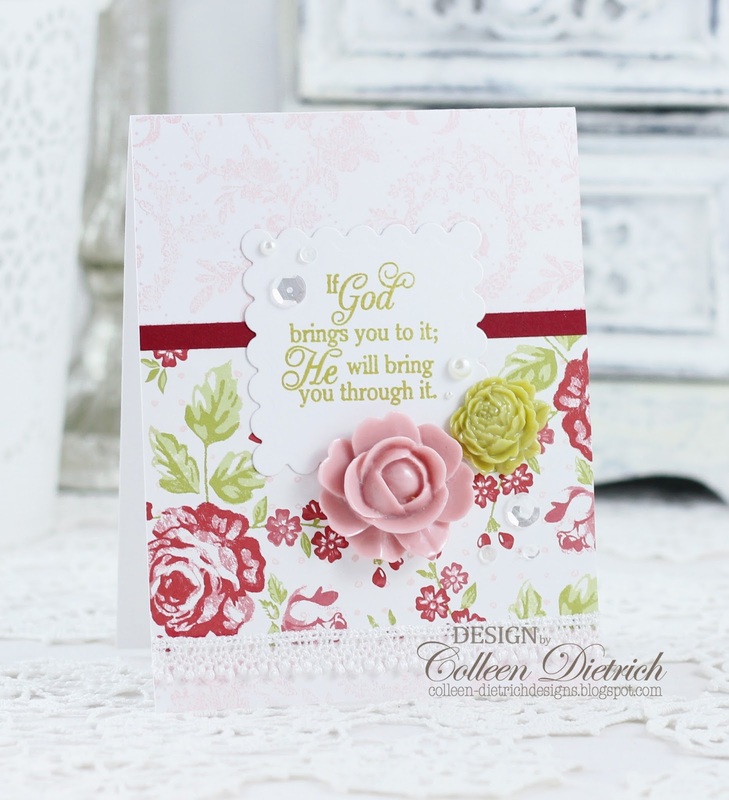 My inspiration was this pretty piece of rose-filled patterned paper from Stampin' Up! 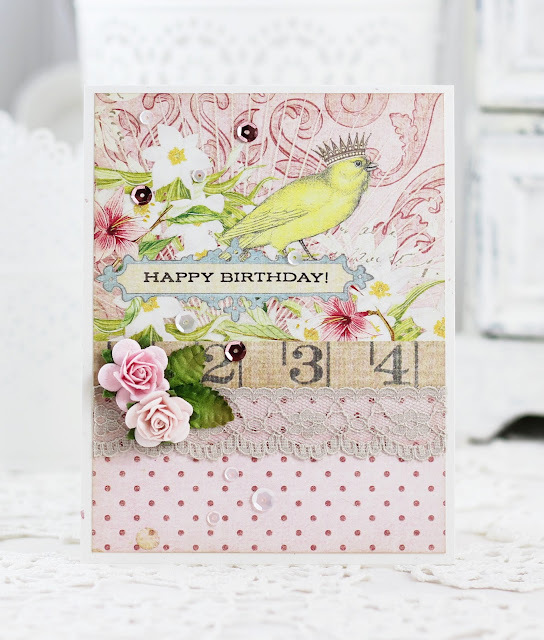 Though it's subtle, the top half of the card is stamped with Vintage Farmhouse by Fiskars in a pale, pale pink. 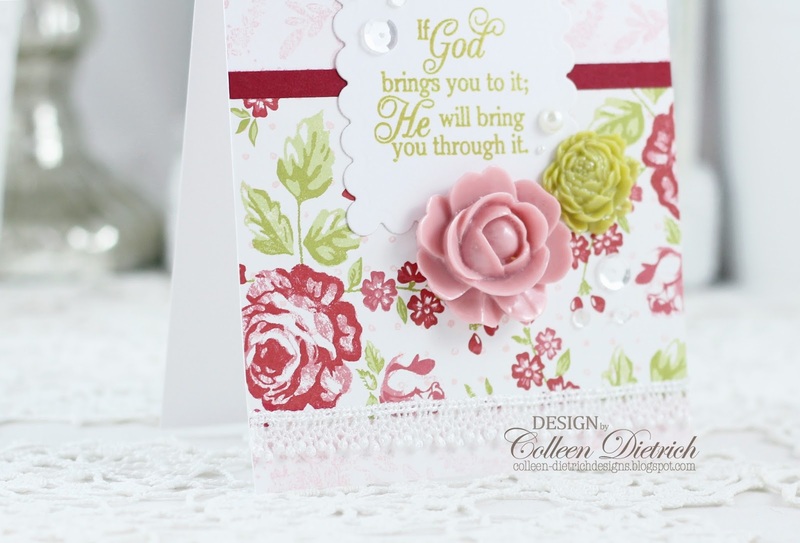 The encouraging sentiment is from Inspired By Stamping. Those gorgeous resin roses - how about that color matching?? - are from Anna Griffin. There is a bit of white lace along the bottom, too. 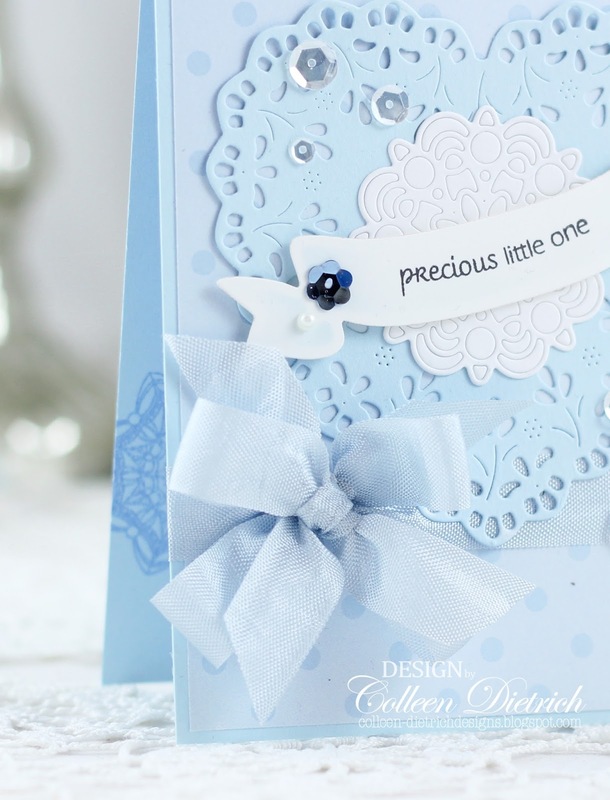 It's rather tough to see in the photo, but in real life, it brings a gentle, textural touch to the card. I'm so glad you came by. Perhaps you needed to read a message like the one on this card today, and I pray it brings you a measure of inspiration and hope! Hi there! It makes me happy to share this card. I gave it to my husband for our anniversary this past fall. 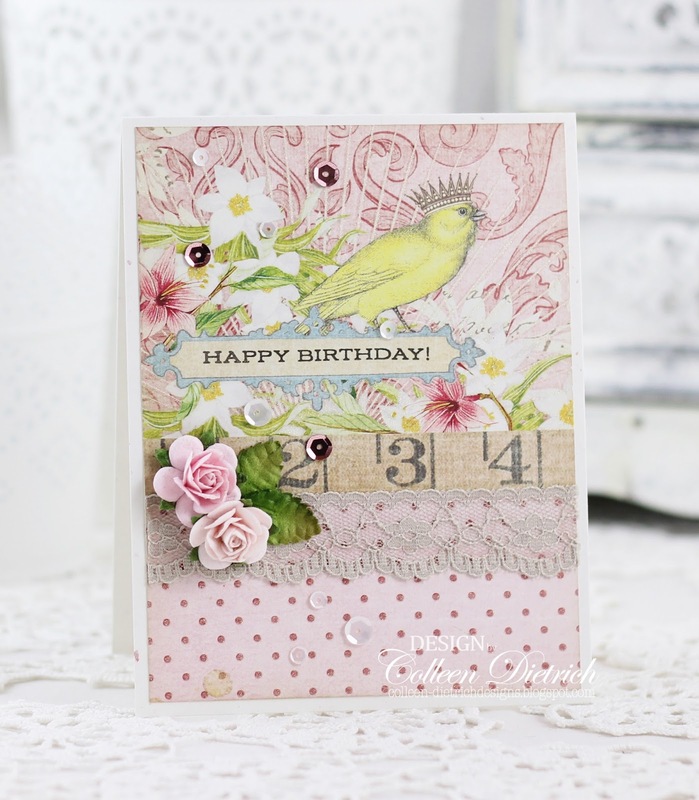 How can you go wrong with the cuteness of Lawn Fawn? 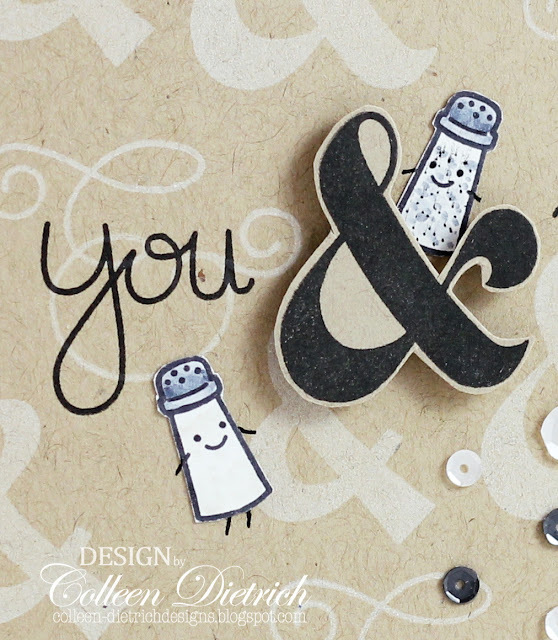 The salt and pepper shaker cuties are from their Love 'N Breakfast set. 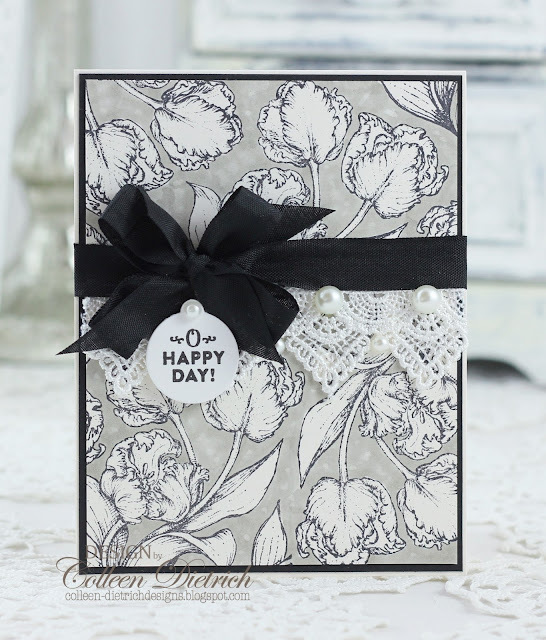 The ampersands and sentiments are from Paper Smooches We Connect, a set that I scored when an online shop closed its doors. The scattered white and charcoal sequins represent, what else? 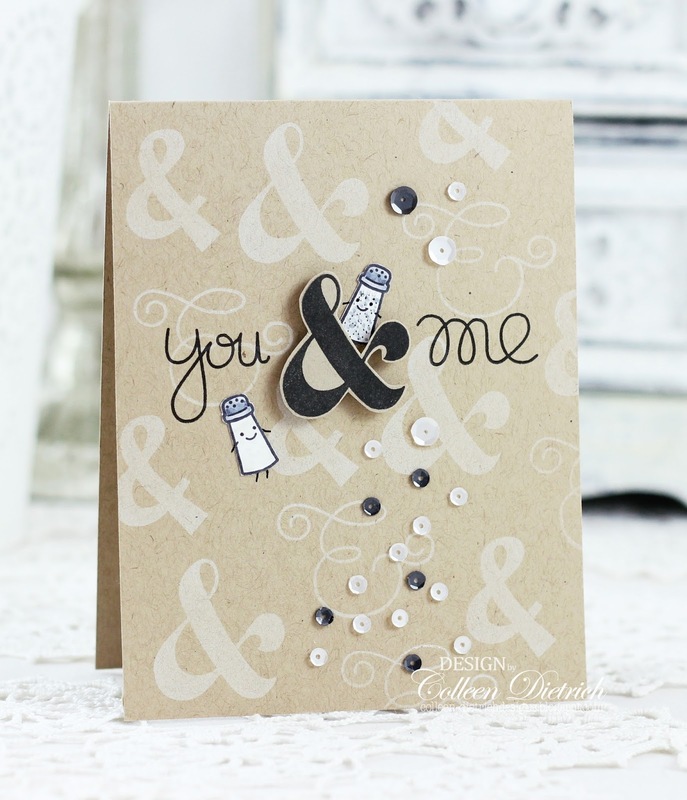 Salt and pepper! Hello there! I hope you are having a good week so far. We've had some crazy weather here in NJ the past two days. Yesterday, it was 19 degrees when I got in the car to go to work, and today, it was in the upper 50s, with torrential rain and wind. Totally weird! I'm popping in to share a card I made several months ago - back in the fall, actually. It's a thank-you card for someone lovely, who did such a kind thing for me. The gesture humbled me, and I made this card to express my gratitude. After all that coloring, I didn't want to cover it up much. Just a bit of Venise lace, topped with a Colleen Bow in black, and a little sentiment were the only things I added. Thanks a bunch for stopping by. Be a blessing to someone today! My family and I just got back from Disney World a few days ago. I love it there. So clean, so magical (except for the crowds....not so magical) and so fun. And the food! I've never had a bad meal in Disney. We stayed at Coronado Springs Resort. Previously, we'd stayed at the French Quarter. The more you go, the more you know: we wouldn't do Coronado again, even though it is beautiful. It's just too large and expansive of a property. When you walk those parks all day, the last thing your feet want to do is walk some more back on "home" turf. Our hotel room was quite a distance away from the main building, where the restaurants and gift shop are located (and the coffee -- very important!). That's it for now, my friends, at least until I can get some more pics edited! Take care, and thank you for dropping by! Hi everyone! 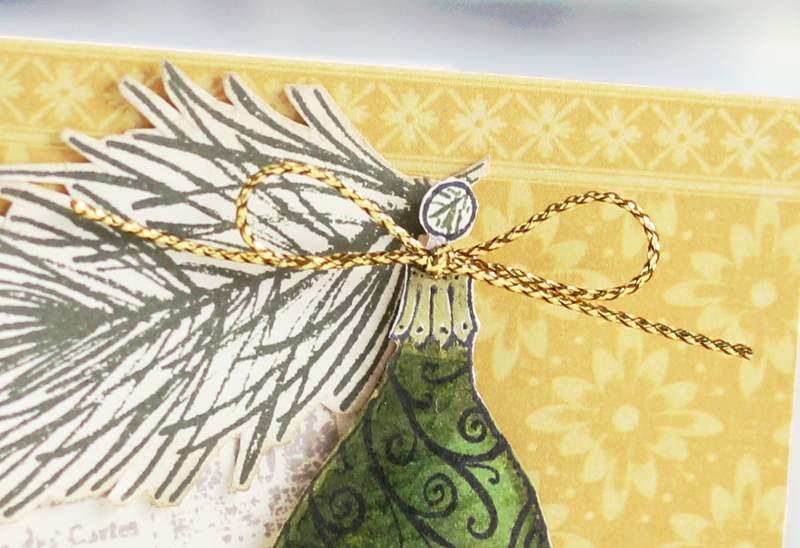 I have a Christmas card to share today that feels a bit unusual with the addition of so much yellow. See the ornament die cut border (K & Co.)? 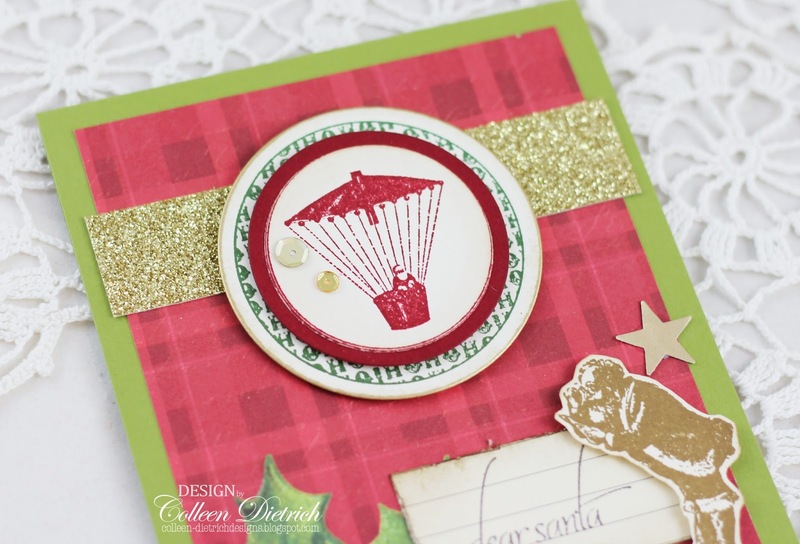 In addition to the red and green, there are slight golden touches on the ornaments, and that was my inspiration. The pine sprig and ornament are from Flourishes Stamps All That Glitters. I'm still crushing on Flourishes Stamps, and have acquired many new-to-me sets in the past few months. The Carte Postale stamp (All Night Media) -- subtly stamped in kraft -- is new to my stash, and I think I paid a dollar for it at AC Moore. That was the highlight of my day. 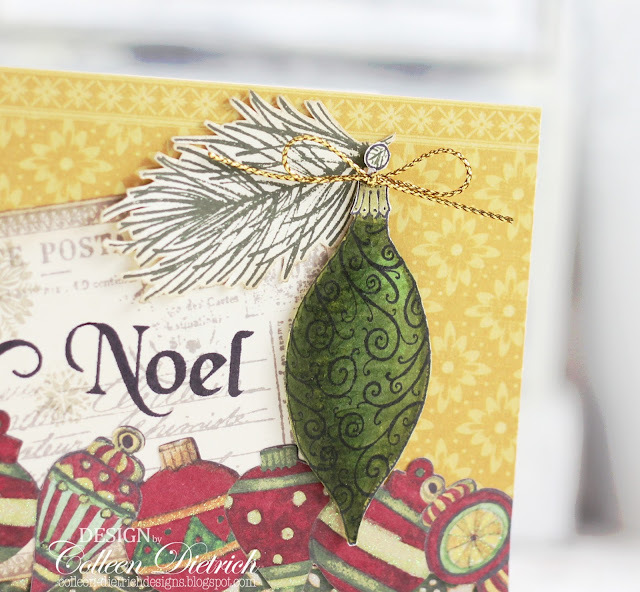 LOL I stamped a "Noel" sentiment and flourish over top of it in Crisp Black by Altenew. There are also some tiny snowflakes stamped on top with kraft ink, so they may not be noticeable at first. I wanted to point out a little fudging I did at the top of this ornament. I fussy cut the whole ornament, including the tiny "eye", which was just a white circle after trimming it out. Once I placed it up against the pine sprig, it didn't look right: the white eye (where you'd place a hook if it were a real ornament) was glaring. I used an Always Artichoke marker to match the pine, and drew in little brush strokes to resemble the greenery. The cap is colored with a metallic gold gel pen, but it's hard to see that in the pictures. 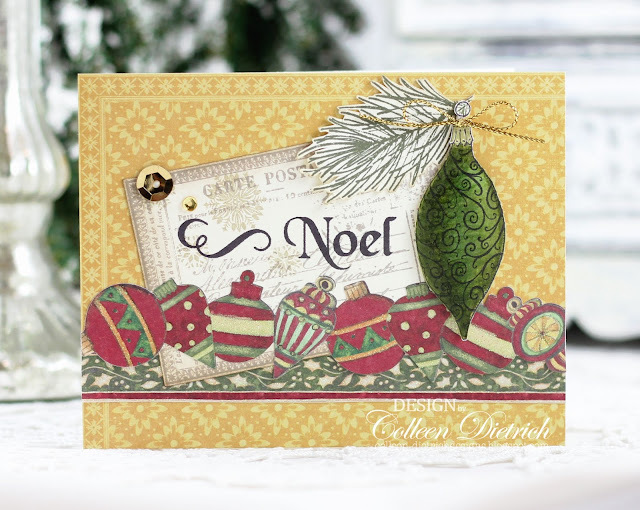 Stamps: Carte Postale - All Night Media; All That Glitters - Flourishes; Christmas Greetings, Elegant Christmas Sentiments - Inspired By Stamping Paper: yellow pattern - Calisto - Anna Griffin; white - Papertrey Ink Ink: Always Artichoke, Crumb Cake - Stampin' Up! ; Memento Tuxedo Black - Tsukineko; Frayed Burlap - Ranger; Crisp Black - Altenew Fibers: gold braided thread Accessories & Tools: ornaments, holly die cut borders - K & Co.; Copic markers; gold gel pen; gold sequins - Pretty Pink Posh; Always Artichoke marker - Stampin' Up! Hello again! You might want to put on some sunglasses to view this Valentine today. I had been trying out new dies, and used some scrap cardstock, whatever was close at hand. I think it's Pixie Pink (retired) from Stampin' Up! that I used for the heart (My Favorite Things). 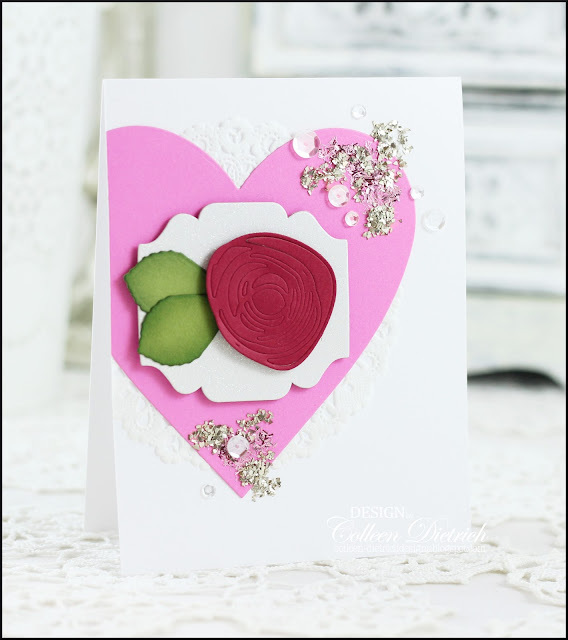 A white glittered chipboard frame (Target $1 Spot) was layered on top of that, then a rose made from Papertrey Ink Circle Scribbles and Spellbinders Foliage die cuts. 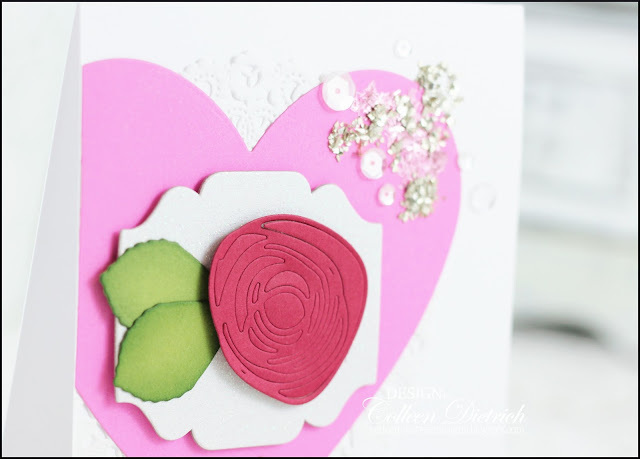 There's a white doily behind the heart, and some chunky glass glitter and sequins on top. My friend Rebecca gave me some beautiful patterned paper, which had me so inspired the other day. These beautiful images (polka dots, ruler, floral with bird) are all on one sheet of 12x12 paper (I believe it's from DCWV). All I had to do was trim it down to fit a card base, and then embellish it. 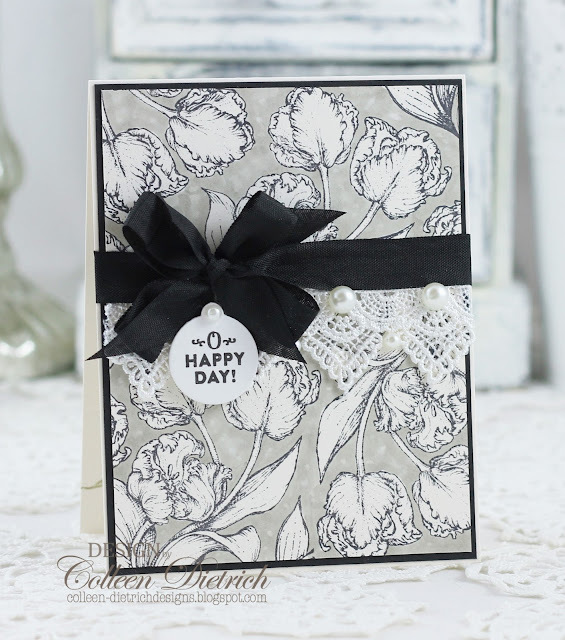 I used a sentiment stamp from Flourishes' Sweet Violets set, and how convenient that a blue frame already existed on this patterned paper! It was the perfect size, too. 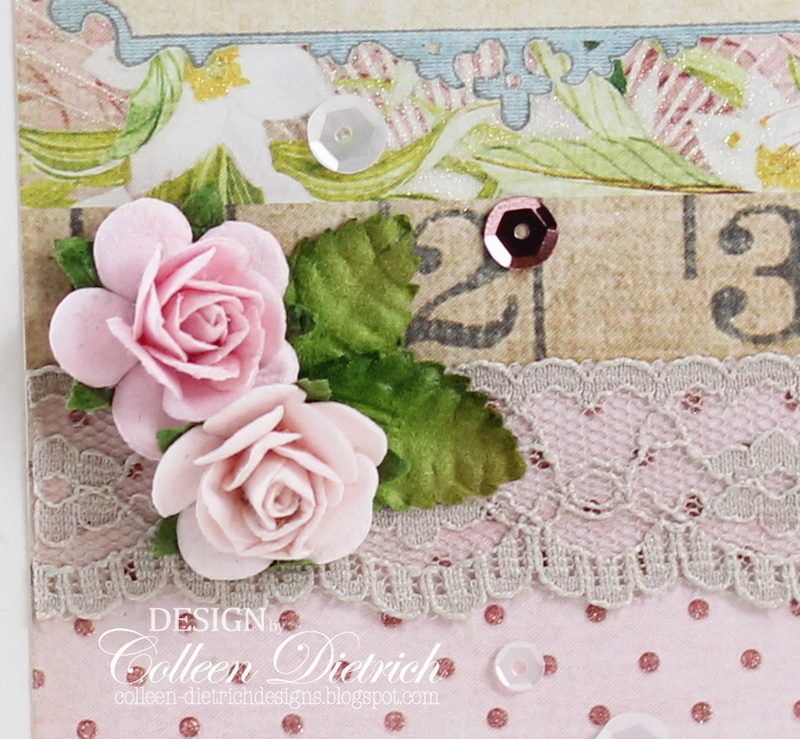 The details I added: paper roses and leaves, some taupe lace, and plenty of pink and white sequins.